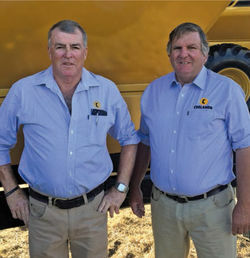 Founded as Coolamon Steelworks in 1972, the business was bought by Bruce Hutcheon in 1997, enabling him to capitalise on his wealth of knowledge in the agricultural industry. Today, the company is known across the nation for its range of products, from spreaders, ﬁeld bins and chaser bins to the large mother bins. Employing 55 people, it was rebranded as Coolamon in 2017, along with a major expansion on-site to increase the factory ﬂoor by 2000sqm taking the total facility to 5700sqm under roof. Coolamon has earnt a reputation for its strong and reliable chaser bin range. In recent years, the company has expanded the product range to include the award winning Coolamon Mother Bin and Coolamon Seed & Super unit. In January, Coolamon acquired the manufacturing and marketing rights to the Haze Ag patented spreader. 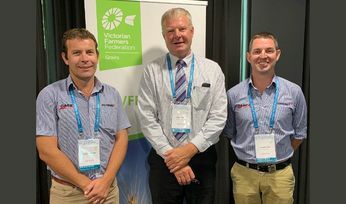 General manager Heath Hutcheon said Coolamon was consistently evaluating ways to improve products to ensure the company remained a leader in machinery technology and efﬁciency. "We are now a leading agricultural machinery manufacturer, where we design, fabricate, paint and assemble all in house,'' Mr Hutcheon said. "We sell products Australia wide through a strong dealer network. "Our trademark look of our one piece curve side is a stand out to product quality and is a testament to our company and all our employees. Last year, Coolamon was at the heart of a fundraiser and awareness campaign for mental health and well being in the rural areas. The bins wore brightly coloured magnets highlighting anxiety, depression and suicide at the Mingenow, Dowerin, Agquip, Newdgate, Henty and Yorke Peninsula machinery ﬁeld days. Mr Hutcheon said the company donated $1000 from every bin sold at the ﬁeld days during August and September last year to Riverina Bluebell under the initiative, Beyond Bins. He said the company was keen to create awareness around mental health after a longtime employee was lost to suicide in 2017. Coolamon staff received counseling support from Riverina Bluebell and returned the favour by donating $13,000 from Beyond Bins. This year also marked a turning point for the company with the acquisition of the manufacturing and marketing rights to the award-winning, patented Haze Ag Spreader. The spreader was developed on the back of 40 years of contracting and design experience by Richard Hazelton, Haze Ag, Cudal, NSW. The spreader, featuring the Haze Ag patented variable sized cones with bolt on spinner blades, is now manufactured under the brand and colours of Coolamon Spreaders. The agreement between Haze Ag and Coolamon has resulted in a unit capable of a consistent spread of up to 50 metres. Mr Hutcheon said Coolamon Spreaders was able to provide volume manufacturing and marketing to take the Haze Ag machine to the next level. The Coolamon Spreader is ideal for granulated products and materials such as lime, poultry manure and feedlot waste. The spinners are polyurethane with rounded backs, creating negative pressure at the centre of the disc and pulling the product into the middle before throwing it out. Mr Hutcheon said the self-cleaning hopper design was the result of Mr Hazelton's expertise and knowledge. Richard Hazelton has now joined Coolamon as a product specialist. 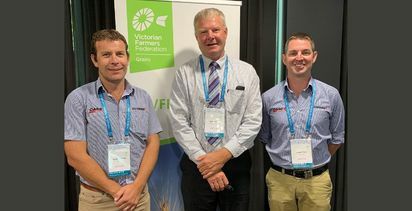 Last year, Coolamon launched a world-ﬁ rst combination of a chaser bin, seed and super grouper and fertiliser spreader in the Seed & Super unit. 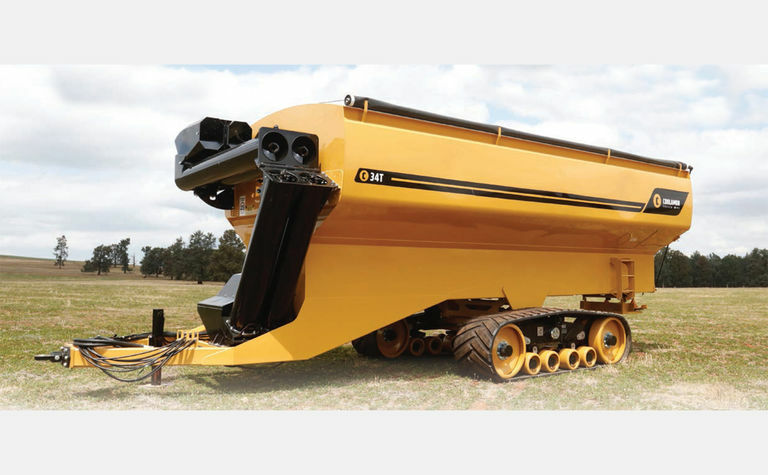 The multi-purpose three-in-one chaser bin turned heads for its productivity increases and year-round ﬂexibility. The Seed & Super unit was awarded a highly commended in the coveted 2017 Henty Machine of the Year Award. Coolamon Steelworks are a leading steel manufacturing business that builds the market leading Coolamon Chaser bins. 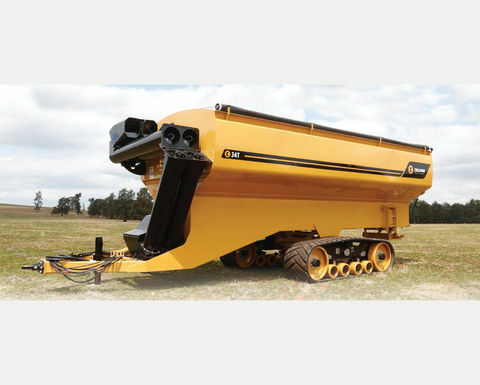 Coolamon Chaser bins are the strongest and most reliable chaser bin manufactured in Australia.